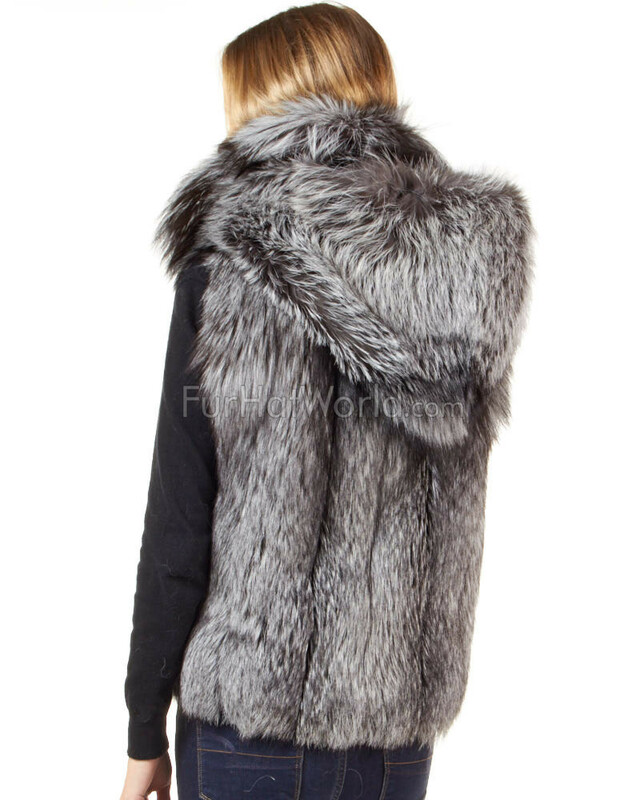 The Brynn Natural Silver Fox Fur Vest with Collar for Women is an exquisite design for her with vibrant colors. 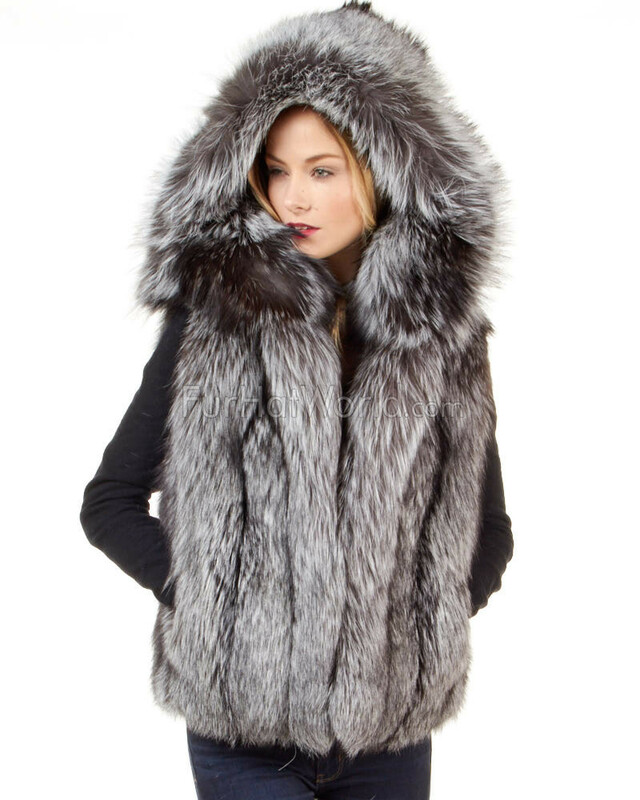 Natural Silver fox fur is plush and soft with a matching Peter Pan collar. A detachable matching hood can be requested to complete the stunning look. Three front concealed hook and eye closures can be affixed down your front. Two slit pockets are excellent to hold your valuables and keep your hands warm. The silky satin lined interior is perfect to keep you warm. This posh design is super elegant from top to bottom to pair with a fancy dress. 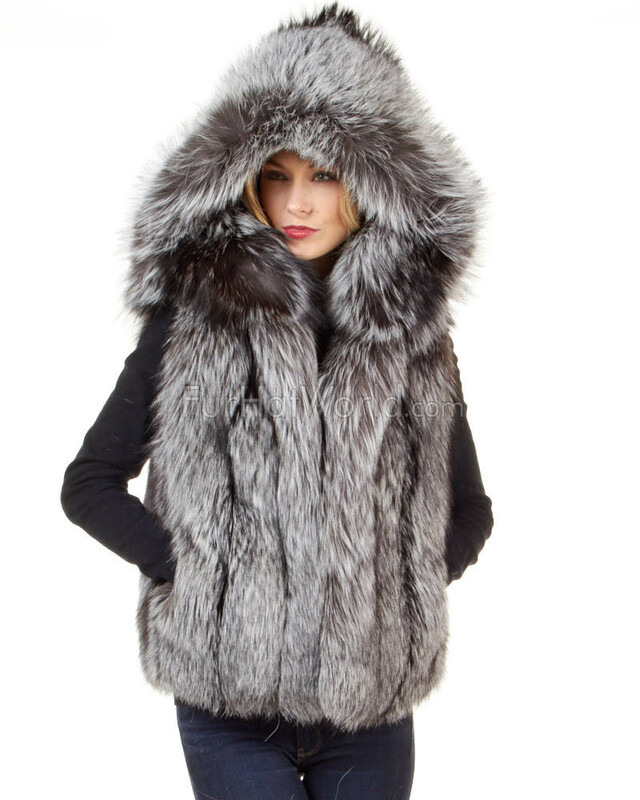 Crafted in thick and full Natural Silver Fox Fur, this fur offers optimal warmth as well as style.